SodaBottleOpenerWala, the much adored quintessential Bombay-Irani Café and Bar with all the typical idiosyncrasies in place, brings forth the dying legacy of bustling, colourful, quirky, eccentric Irani cafes to the city. "Bombay Old Fashioned" focuses on the dying art, culture and food of Bombay and as part of this initiative, they've created a unique menu titled "The Wild Side of Bombay", featuring three incredible, unique thalis created from ingredients part-foraged, part-local and seasonal, and using recipes of Varli Tribals who reside in and around Bombay. The Varli Tribals have been a quintessential part of the city's culture and fabric. And it is this forgotten culture that this special menu - The Wild Side of Bombay captures through these Thalis. The "Wild Side of Bombay" menu will be served throughout December 2018, at SodaBottleOpenerWala High Street Phoenix, Powai and Thane outlets in Mumbai. 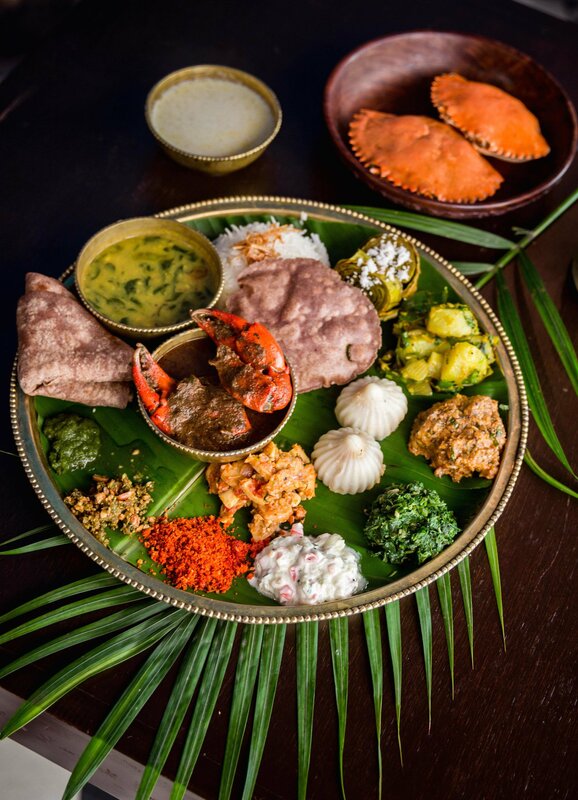 Three versions of the Tribal Thali – Veg, Chicken and Crab include traditional dishes created from a mix of foraged ingredients from the outskirts of the forest, and indigenous local and seasonal ingredients. 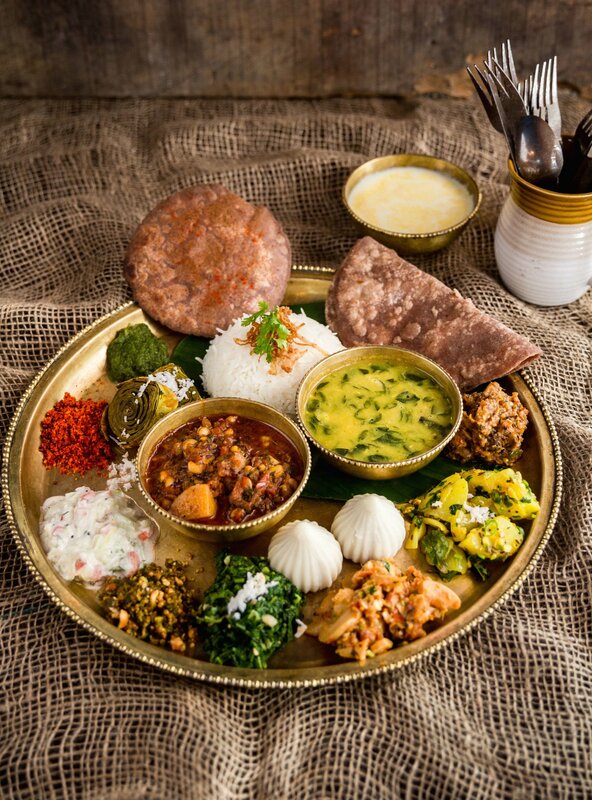 The highlights of this menu are locally sourced Mud Crab which’s usually cooked by Tribals on special occasions, Country Chicken cooked in the traditional Tribal way, Gauti Brinjal which’s a local green coloured variant of brinjal, Wild Bamboo shoot cooked as a bhaji, Potato cooked with Gawar (a local bean), Dal cooked with drumstick leaf and Local Forest Greens. As we celebrate all that this special about Bombay, the Varli Tribal Community holds a special place in all our hearts at SodaBottleOpenerWala. As more and more members of this community get integrated into mainstream city jobs and urban living, their unique foods and culture needs to be celebrated so that they are not forgotten. And while the world sings paens about natural, foraged ingredients, we seem to have lost track of so much produce that grows within the green pockets of the city! We are really proud of these three thalis crafted with a lot of love and care, with special attention to ensure tribal cooking traditions and recipes are not compromised", says Anaida Parvaneh, Chef Partner SodaBottleOpenerWala Powai. At SodaBottleOpenerWala, we try to offer unique experiences typical to Bombay and its myriad communities such as the Tribal Belt. “Bombay Old Fashioned” is our way of presenting a slice of nostalgic Bombay to the new generation who may not have witnessed this spirit of our maximum city. As these elements slowly disappear from the city, we feel it’s important to conserve and showcase this fading heritage. This mix of events & menus has been carefully curated to reflect the eclectic, diverse mix of citizens who stand for the dynamic spirit of Mumbai!” concludes Mohit Balachandran, Country Head and Cuisine Director SodaBottleOpenerWala. For the first edition in the “Bombay Old Fashioned” series, in April 2018 SodaBottleOpenerWala teamed up with ace fashion photographer Palash Bose to capture different elements which are integral to Bombay and are fading away. These photographs were showcased as part of an exhibition at the Palladium mall in Mumbai. For the second edition of "Bombay Old Fashioned", a menu pairing classic Pakoras of Mumbai with Champagne was served.